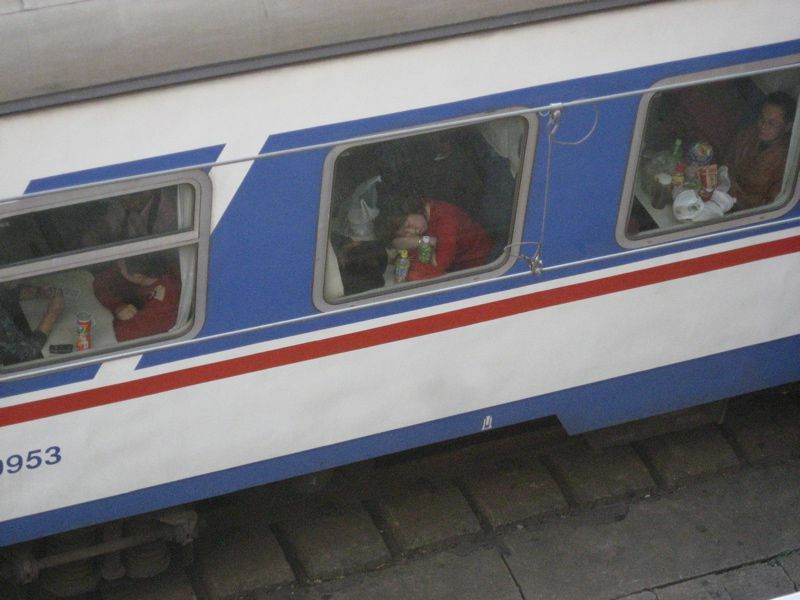 Traveling in China on your own is, in short, safe. It is extremely rare for travelers to come into any problems with physical safety in China. Safety issues while traveling in China usually end up being petty thievery (for example, pick-pocketing) and trouble with travel sicknesses. It should go without saying that all travelers should be appropriately careful. If you can learn a bit of Chinese before you go, or while you travel, it will probably be useful, especially if you get into a pinch. But otherwise, as long as you keep your personal belongings safe and you use general good sense, including being careful about water and food safety, you will have a successful and safe trip to China. The list of ills bequeathed upon China by Mao's legacy is long (and not the subject here). However, under Communist rule, women were lifted from a culturally subservient role into one of greater equity because they were needed in the workforce. With massive relocation during the Cultural Revolution when millions of city-dwellers were uprooted and sent to live agrarian lives, many young women found themselves suddenly alone, without their families to support them. The work units became the family and women found themselves with much more freedom (in certain respects) outside the confines of traditional family around them. Under this historical backdrop, women did similar work to men in the fields and in the factories. Today, there is really no industry, maybe with the exception of heavy construction and mining, where women don't work. Of course, women are not represented equally in positions of power - both government or corporate - but we know this isn't a Chinese issue but rather a global one. Since China's economic opening-up, masses of internal migration have taken place with young people leaving the land and heading to coastal cities for better jobs and brighter futures. Many young women take off from home spending sometimes multiple days making a slow train or bus journey to their destination - alone. They might hook up with a cousin or someone from their hometown once they arrive, but many just make the journey with nothing more than a bag, a mobile phone, and a hope to land a decent factory job. Therefore, as a lone woman traveler, you will find yourself traveling in a nation that, in the first place, has a cultural association with long travel; and secondly, culturally accepts women traveling on their own. Local Chinese people you meet might think it's odd that you would elect to travel by yourself. But this perception will be more in terms of their questions about where your friends are and why you don’t have a boyfriend or husband along with you (i.e. what's wrong with you). If you are younger, other questions might arise about why your parents would allow you to travel on your own if you don't have to. If you are able to answer these questions, it will help bridge the gap. Keep in mind that these questions arise because people are curious about you and why you're in China. It is safe to say that most of the time, these questions are meant with no ill will so try not to take offense, even if you find the questions slightly intrusive. Therefore, generally, you do not have to fear for your physical safety when traveling alone. It would even be very unusual for you to hear catcalls or whistles. Of course, you want to take precautions and be cognizant of your situation. Follow general health and safety advice. Be careful with your money and belongings. You will certainly come across some travel nuisances including pickpockets and air pollution. And it may take you a while to get used to fighting your way through lines. But these small troubles aside, women should find it quite safe to travel in China. What Vaccinations Should You Get before Visiting China?